We are developing the Bexhill Enterprise Park on an extensive site to the north-east of Bexhill, East Sussex. It’s accessed by the new Combe Valley Way (formerly know as the Bexhill-Hastings Link Road) which opened in December 2015. The Enterprise Park is designed to provide companies with high-quality premises to enable them to grow and thrive. Our contemporary, 25,235 sq ft set of offices – Glovers House – was immediately fully let to growing leisure company Park Holidays UK on completion in late 2015. We’re now developing an additional business centre called High Weald House. Offices within this, from around 600 sq ft upwards, are pre-letting now on ultra-flexible lease terms. We also have sites available for up to 244,000 sq ft of office premises. And we’ve developed the North Bexhill Access Road to the north of Combe Valley Way to open up further business sites as well as improve local road connections. We opened this road in March 2019.
get in touch or download the Bexhill Enterprise Park brochure. 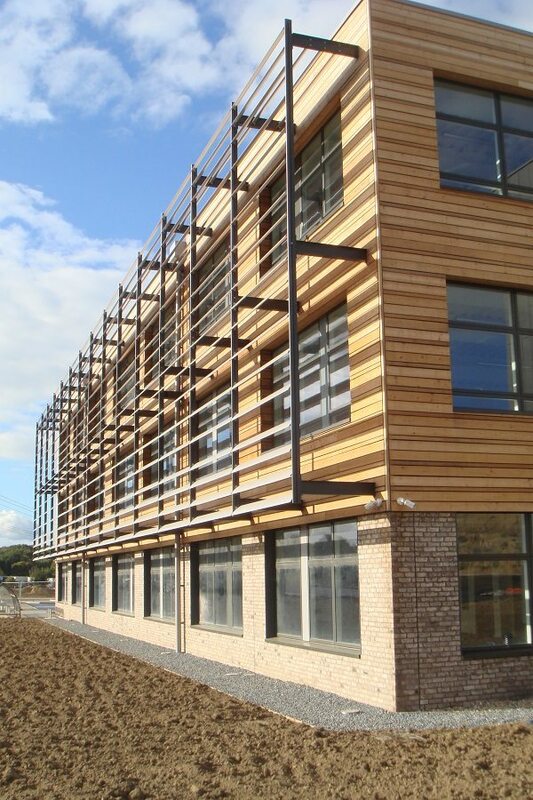 For high quality offices and development sites in Eastbourne, visit the Sovereign Harbour Innovation Park web site. For small offices in Hastings town centre, see the Priory Quarter web site. For manufacturing sites on the North Queensway Innovation Park in Hastings, visit the Sea Change web site.